The church of Santa Maria della Catena designed by one of greatest Sicilian architects Matteo Carnilivari beautifully reflects complexity of local history and religious beliefs. The Church of St. Mary of the Chain was built at the turn of the 15th century at the small embankment near the Cala Port. 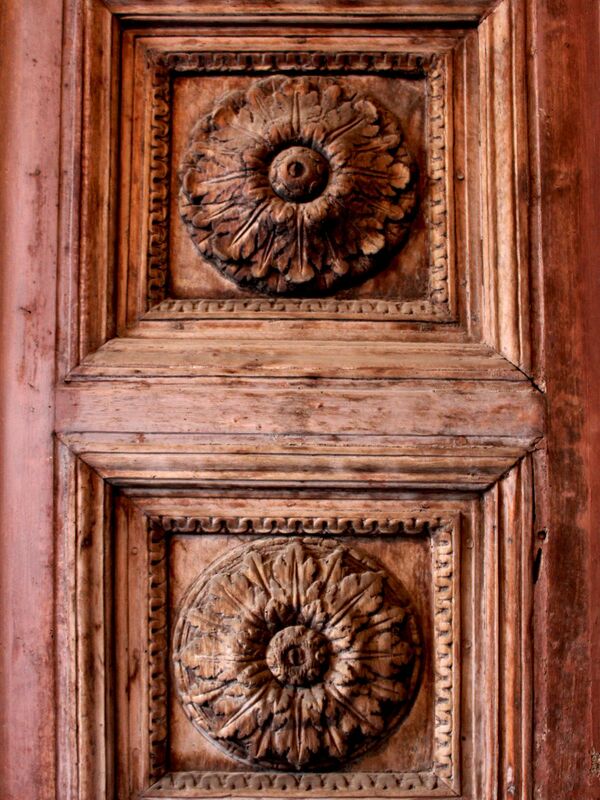 It was designed by one of the greatest masters of the Sicilian architecture in those times - Matteo Carnilivari. The church is the living testimony of his talents to create harmonious combination of traditional Sicilian architecture (Catalan-Gothic influenced by Arab and Byzantine “flavors”) with “lines” of newly emerging Renaissance. 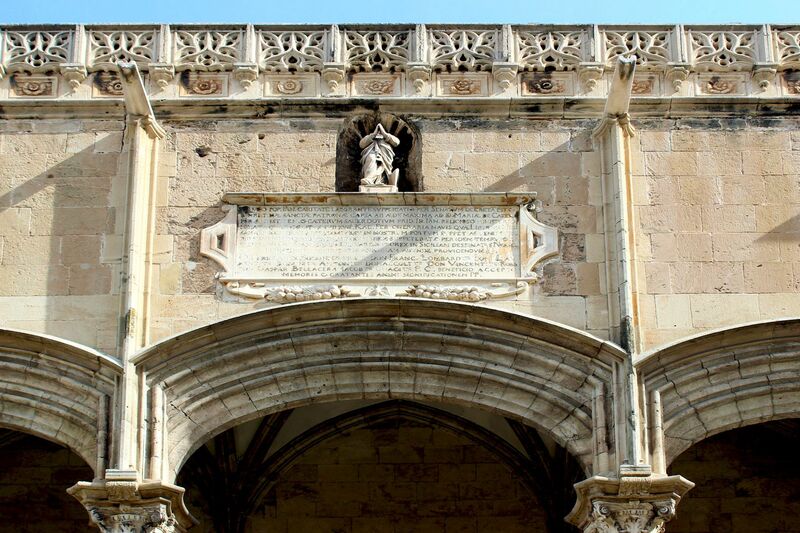 After Carnilivari’s death in 1506 the finishing works were carried-out by local architects Scaglione and Belguardo, but fortunately they did not make any major changes to the original project. The church’s name comes from the long chain anchored to the walls of an earlier chapel standing in this place. The chain (connected to the harbor’s fortifications on the opposite side of the harbor) was controlling the access to the port protecting it from pirates’ ships. But digging deeper into the roots of this name one can find another – more mystical story. It claims that back in 1392, three chained innocent detainees condemned to death were led by guards to be hanged in the nearby piazza. Their fervent prayers to the Mother of God were answered by freeing them from the chains. To memorize this miraculous event, the church consecrated to Santa Maria della Catena was built at this place (in Italian the word “catena” means – chain). From the outside, architecturally the most interesting is the elegant entrance porch located at the top of the flights of stairs. The stairs were not part of the original design, however when at the end of the 16th century the road Cassaro (today’s Corso Vittorio Emanuele) was extended towards the harbor, the terrain was leveled. Given the church’s location on a small mound, it was necessary to add the staircase to facilitate the access to the church of St. Maria of the Chain. 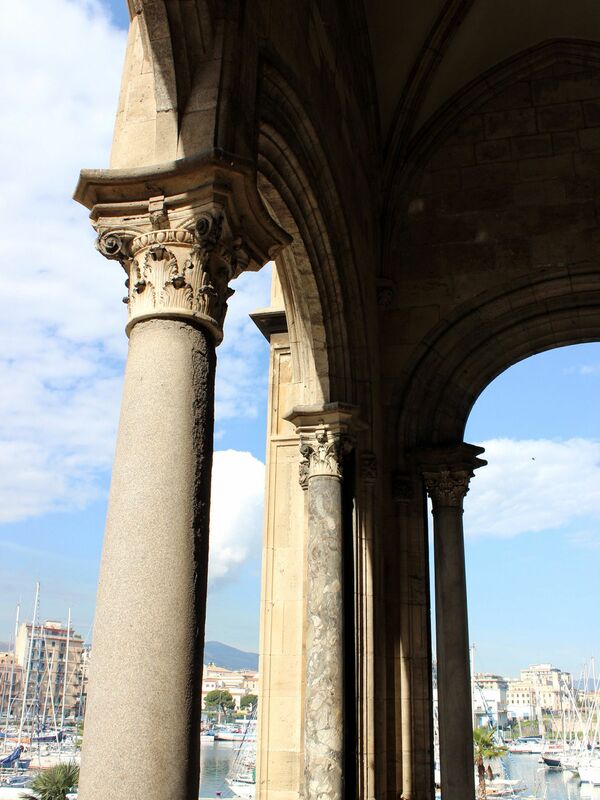 The porch (loggia) alone is an impressive structure. 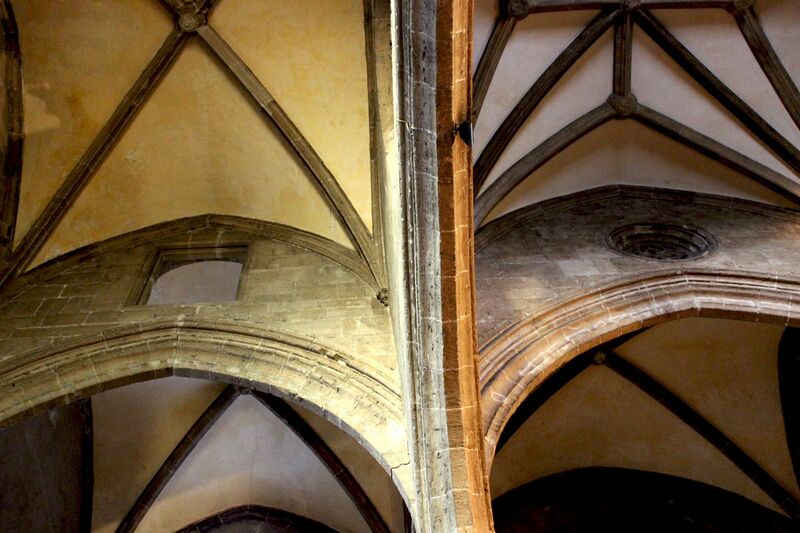 It consists of three Catalan arches at the front and one on each of its sides topped by wide cornices – all supported by slim columns and flanked by tower-like structures. The cornices are crowned by a highly decorative marble balustrade. The porch covers an entrance adorned with bas-reliefs by Vincenzo Gagini (his works can be also seen at both side-entrances). The marble slab above the doors has an inscription with words of gratitude to the Madonna of the Chain. 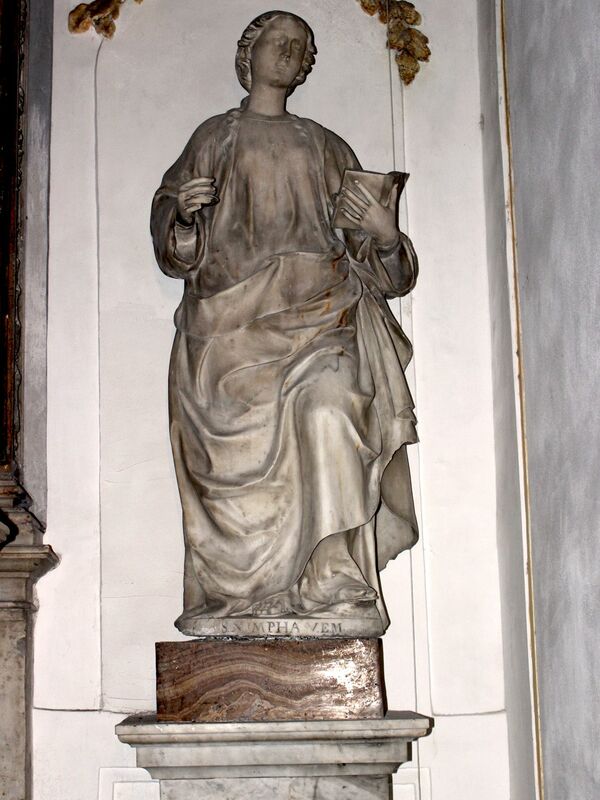 In the small niche above the slab, there is a statue of the Santa Christina. This way Palermitans expressed their gratitude to the saint for “saving” their city from the famine (Indeed, a miracle or just a coincidence happened when in 1592, during the procession carrying the statue of St. Christine from the cathedral to the harbor, unexpectedly a ship with cargo of wheat entered the port). 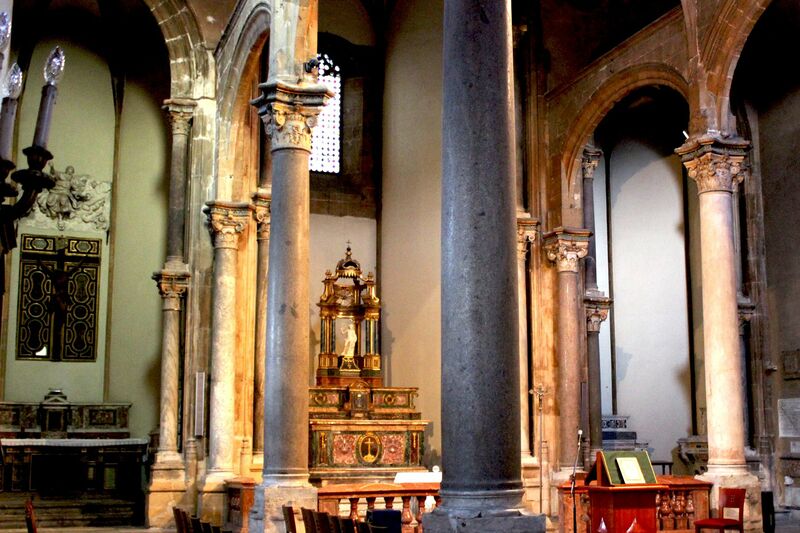 Church’s interior consists of three apses and naves separated by the rows of columns. Certainly worth of closer look are chapels. The first on the right is dedicated to Santa Brigida. 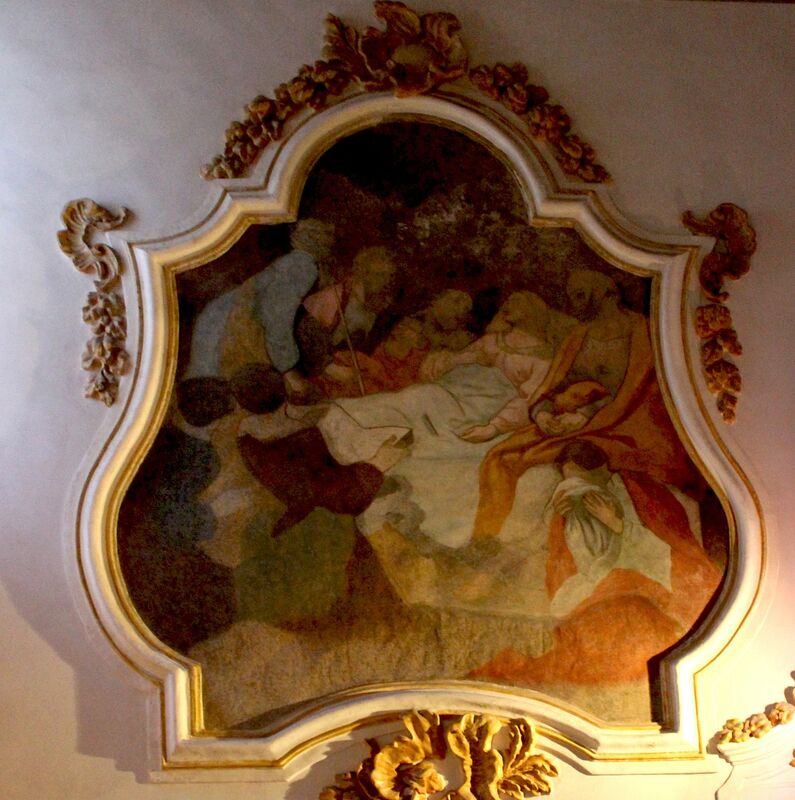 While the author of the 17th century canvas depicting the Saint Brigit is unknown, frescoes on the walls are work of Olivio Sozzi (considered as one of the greatest 18th century Sicilian painters). 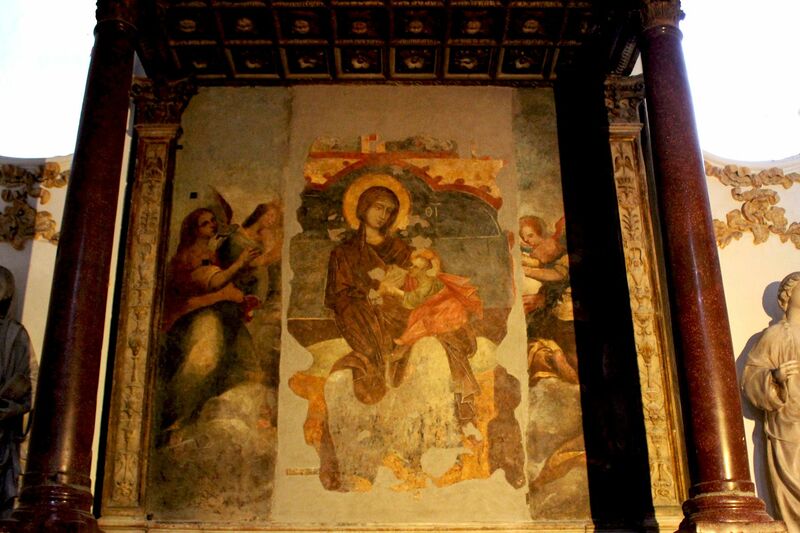 The frescoes present: (left) the scene of coronation of Santa Brigida by the Mother of God, (right) Jesus Christ and on the ceiling – saints in Heaven. 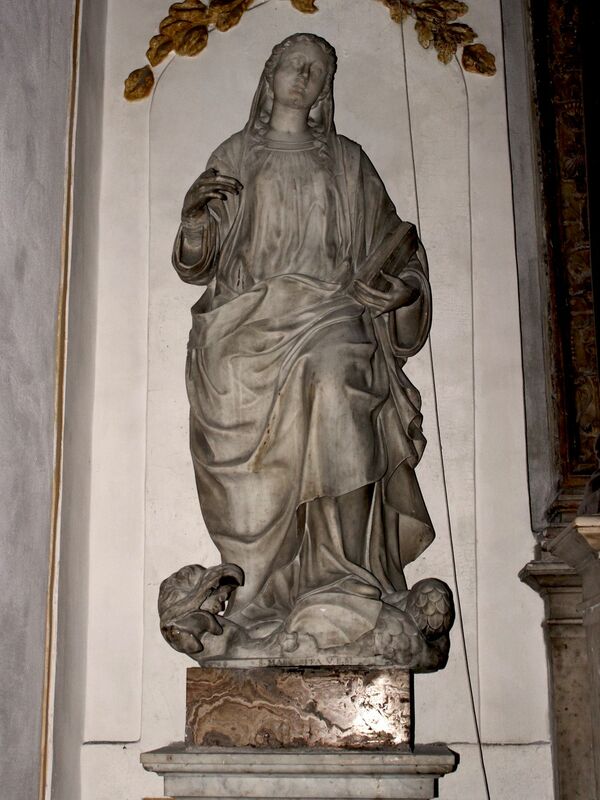 The second chapel dedicated to Madonna of the Graces (Madonna delle Grazie) is actually the oldest part of the church. It preserved some features from the 14th century votive chapel that once stood in this place. The central part of the painting depicts the Mother of God holding the baby-Jesus, strangely portrayed as an adult “shrunk” to the dimensions of a child. It was the “Byzantine” way of presenting the “wisdom” which is associated to “matureness” of adulthood. This part of the canvas was painted over an older one dated to the 14th century (fragments are still visible on both sides). The old canvas was depicting Madonna feeding the Child and was exposing the naked breast (situation not at ease even by today’s standards). The four live-size statues are portraying patronesses of Palermo: St. Margaret, St. Ninfa (Nympha), St. Barbara and St. Olivia. 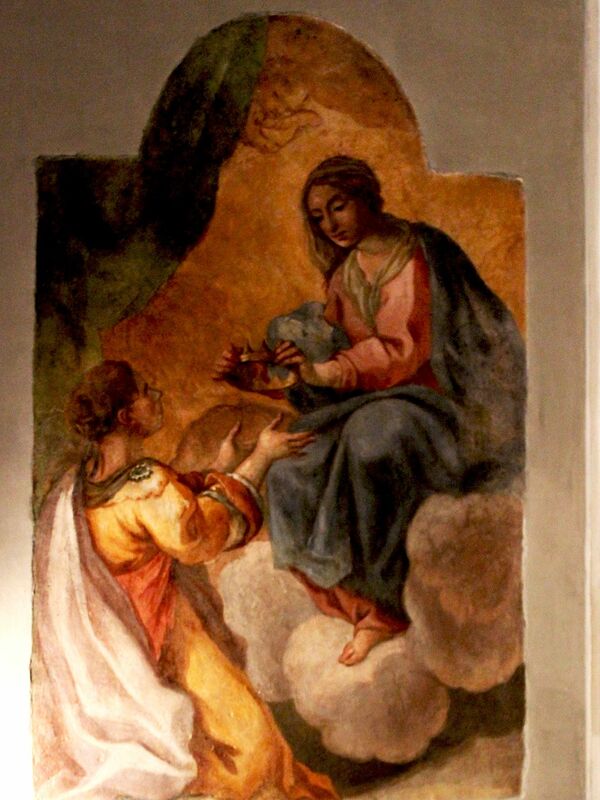 They are work of Antonio and Giacomo Gagini (sons of Antonello) and date to 1540’s. 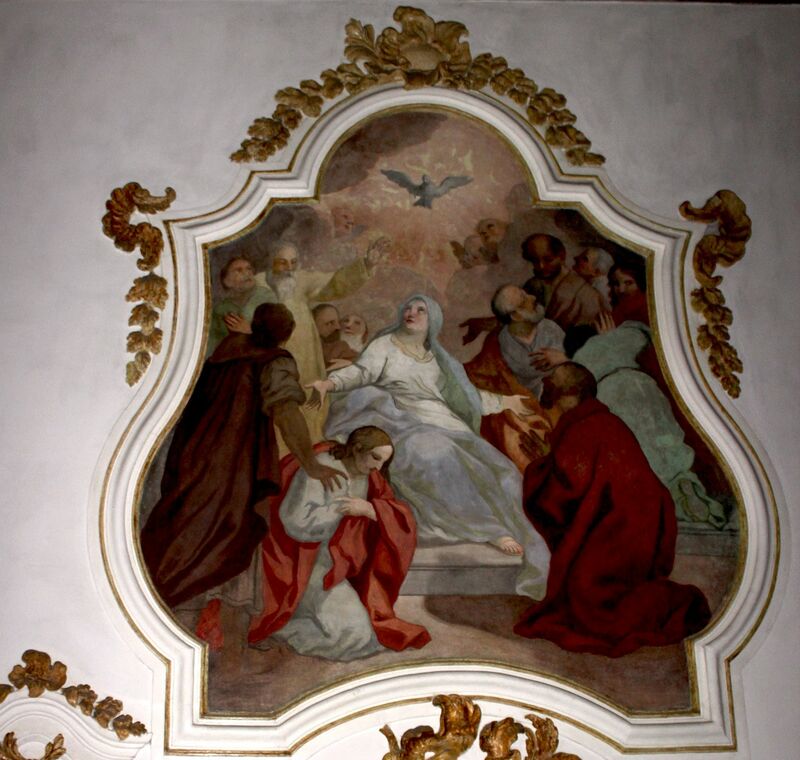 The wall and ceiling frescoes are work of Olivio Sozzi and depict correspondingly: Pentecost, Death of Virgin Mary, Holy Trinity and the Miracle of prisoners. 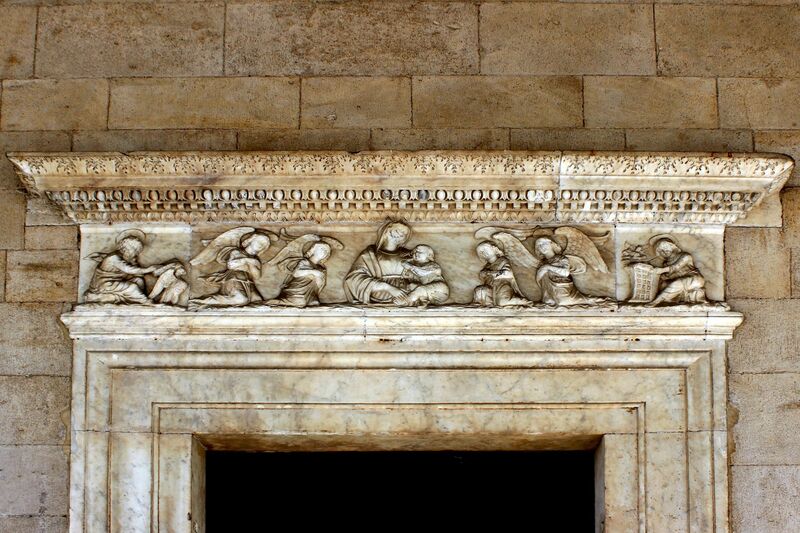 The third chapel houses the beautiful 16th century bas-relief by brothers Gagini. It presents the scene of the Nativity with Adoration of three Wise Men (the Magi). Another scene of the Nativity– this time with the Adoration of Shepherds is shown in the fourth chapel, but the author of this canvas is unknown. The church houses many sarcophagi, some coming from other churches destroyed by 1883 earthquake. The oldest one from the 2nd century AD was “reused” for Lucia Palici - wife of Giovanni Chiaramonte (one of the most powerful Sicilian aristocratic families). 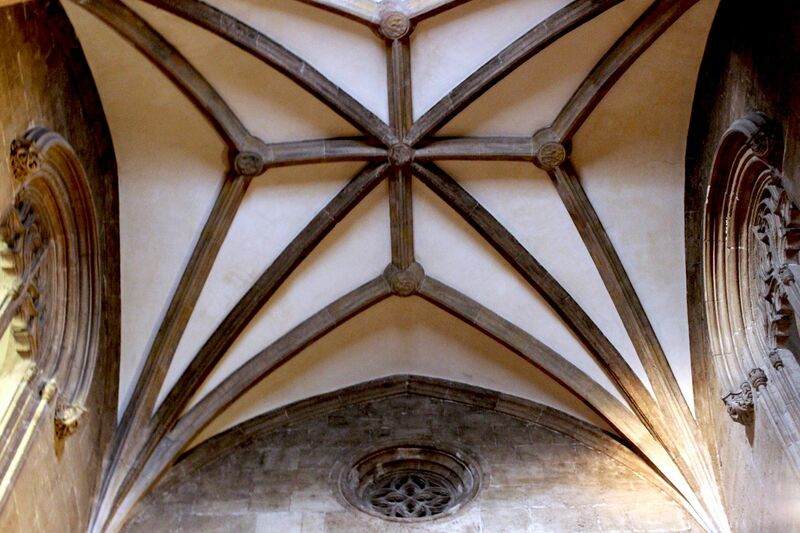 Looking up you will see beautiful ribbed vaults covering the main nave and vaulted ceilings in both aisles, some adorned with frescoes by Olivio Sozzi. 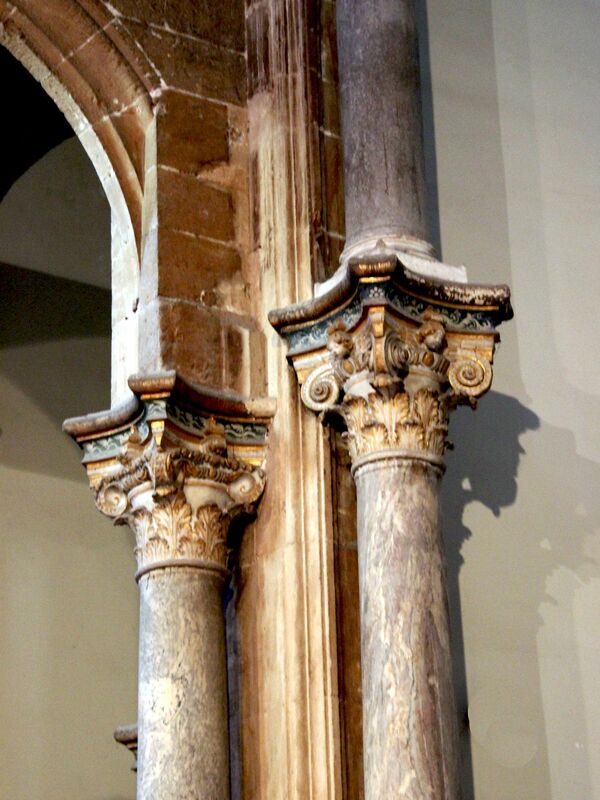 During the following centuries the church received baroque decorations, clearly harming its unique style characteristic to Carnilivari’s works. Fortunately they were removed during restoration works carried-out by local architect Giuseppe Patricolo between the years 1884-1891. 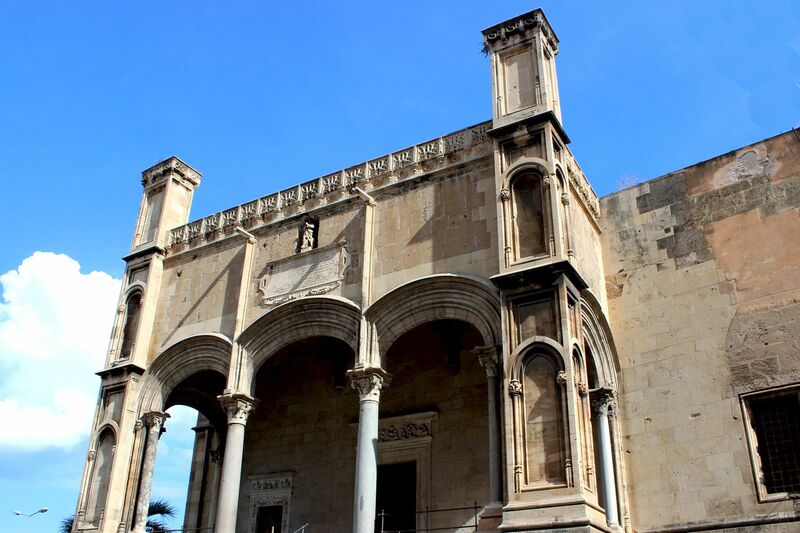 In 1602 the Senate of Palermo invited the Fathers of Teatini to settle in Palermo. 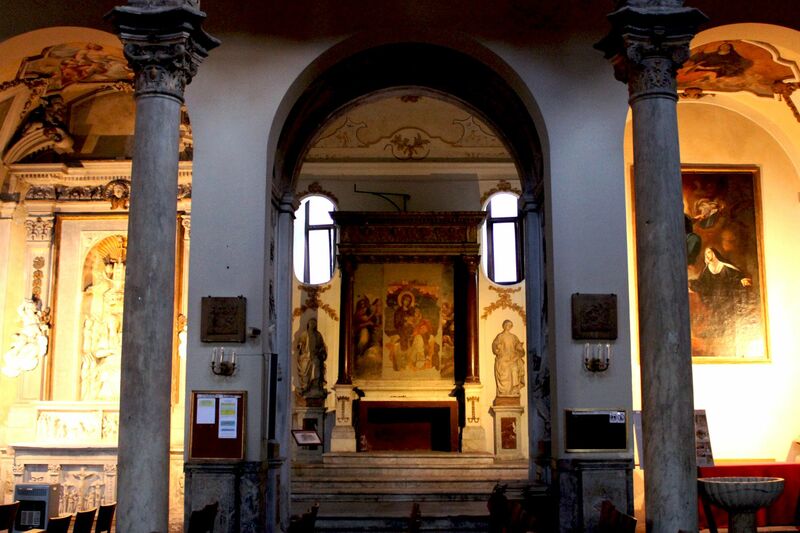 For the start, they “received” the church of Santa Maria della Catena. Next to the church, Teatinis built the large convent establishing the monastic complex. As the local “soil” was fertile for the fast growing brotherhood, the church of St. Mary of the Chain became too small. The Brotherhood erected a huge church dedicated to St. Giovanni dei Teatini (St. Joseph of Teatini) near the piazza Quattro Canti. 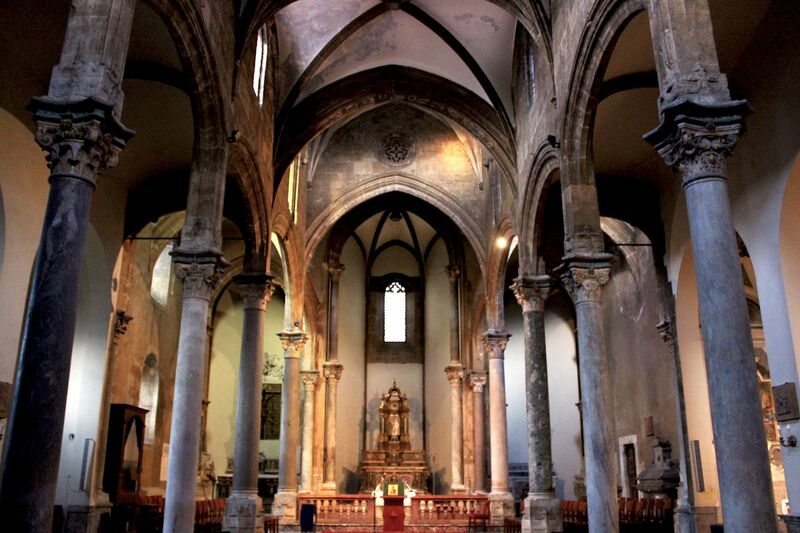 With time the complex of Santa Maria delle Catena was losing importance. In 1844 the convent was annexed by the local government and converted to the State Archives. It still serves this duty today.